Camo ring styles are the perfect military-inspired jewelry for the military, outdoorsman, hunter or serviceman in the family as a casual ring or camo wedding band. Unique wedding rings don’t get any more one-of-a-kind than durable Cobalt or Tungsten camo wedding rings with unique military camouflage design. 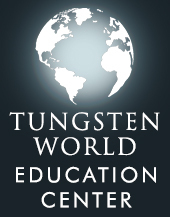 TungstenWorld.com, the internet’s leader in durable wedding bands for men and women, has created an exclusive line of military-inspired camouflage wedding rings in an array of cobalt chrome and tungsten carbide ring styles. 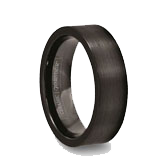 With an almost endless array of women’s and men’s wedding bands available online, TungstenWorld.com has made it their priority to offer customers durable, long-lasting rings with unique style. 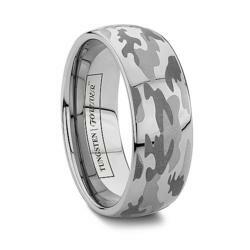 Having already had success retailing the simple domed camo wedding band, the STRYKER, the online retailer has expanded its collection of camo wedding bands with the creation of their exclusive camouflage pattern engraved on the best of tungsten carbide and cobalt chrome rings. "We were getting lots of request for camouflage wedding bands from couples in the military and people into hunting and the outdoors, and once we added one style we got even more requests," says Dave J., Tungsten World’s laser engraving technician and designer. 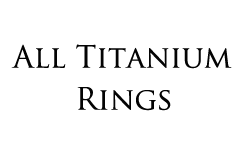 "So we've updated the design and added many new styles including cobalt chrome versions to our already popular domed camo tungsten rings." 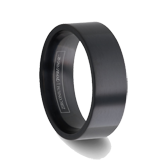 Among the new styles available at TungstenWorld.com, a similarly domed camo wedding band, the STRYKER as a cobalt chrome counterpart to the simple, comfortable and already popular camo tungsten band. Sure to catch the eye of any outdoorsman or military-enthusiast, as well as those serving in our armed forces around the world, Tungsten World’s camo collection further expands with beveled and pipe-cut style versions now available with laser engraved camo pattern. Coming in their choice of cobalt chrome or tungsten carbide, customers can further customize their rings with their choice of 6mm or 8mm width for their uniquely engraved wedding bands. 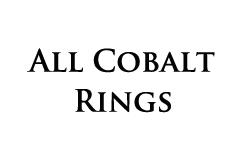 And as with any of the rings purchased from their website, Tungsten World extends their industry-best Lifetime Replacement warranty over all their camo wedding bands and any ring can be made even more custom with the addition of a personal engraved message on the interior. "The original camouflage pattern our expert laser engraver created is absolutely flawless," says Brett T., Tungsten World COO. "We've seen patterns from other retailers with seams or inconsistent patterns, but he really hit it out of the park with this pattern. And it looks great on so many styles of rings, we wanted to open it up so customers have more choices to get the wedding band style they want. 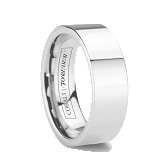 We might even carry it on our men's black wedding bands in the future." 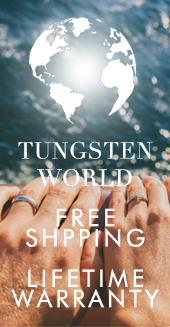 Exclusive to TungstenWorld.com, Tungsten Forever™ tungsten rings and tungsten wedding bands, for men or women, are made from the highest quality tungsten carbide. Hand-finished and coming in a wide array of widths, styles and sizes, Tungsten Forever™ tungsten rings set the standard for durable men’s wedding bands guaranteed to last a lifetime. 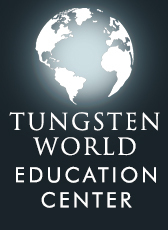 Coupled with Tungsten World’s industry-best Lifetime Replacement warranty and friendly customer service, customers purchasing Tungsten Forever™ tungsten rings and tungsten jewelry can be confident in knowing they’ve received the very best the internet has to offer.